These themes underpin everything that we teach and share – from a tour workshop in Berlin, to a repertoire residency in Burkina Faso from a restaging project in Derry Londonderry Capital of Culture to a workshop for professional dancers in Toronto. In 2015/16, Hofesh was selected as a named Artist on the AS level and A-level dance curriculum. We have thriving partnerships with schools supporting the delivery of Arts Award and Arts Mark. The development of our work embraces the Arts Council England’s Quality Principles. Dancers of all ages – HSC continues to develop our Made In… series of performances, created together with the company and our dancers. 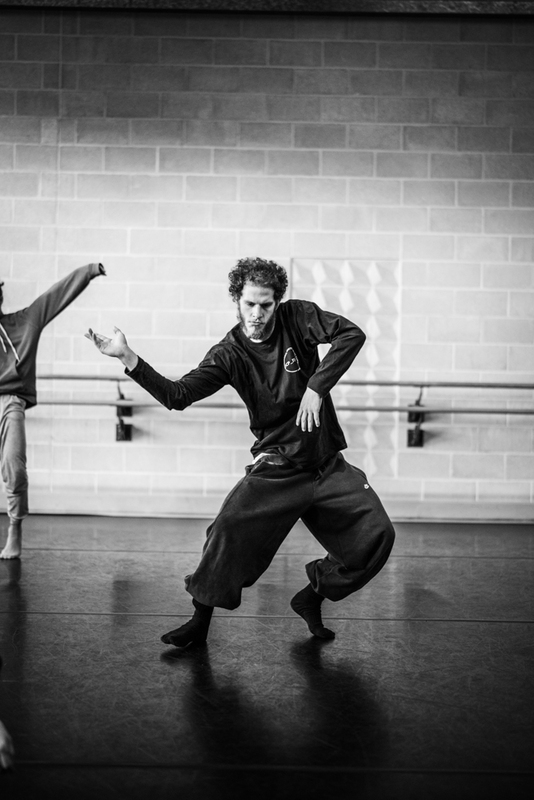 Most recent productions have included projects with Hastings, Londonderry and upcoming project with young performers and emerging choreographers in East London through our partnership with East London Dance. Young People – Our partnership programme offers both live and digital connections, with workshops linked to the national curriculum, mentoring and specially designed A level & A/S level resources. Emerging Professionals – Supporting gifted and talented dancers from 16+ through our partnerships with South East Dance and DanceEast and higher education institutions and conservatoires delivering activities including mentoring, new approaches to dancer training and re-staging of productions. Teachers Networks: A new programme under development, for more details please contact us at takepart@hofesh.co.uk. Book a Workshop: Interested in the HSC dancers coming to teach a workshop at your school? Click here to fill out our booking form, and please return it to takepart@hofesh.co.uk. Still can’t find what you’re looking for? Check out our FAQ sheet here or contact us at takepart@hofesh.co.uk.